5 Essentials to keep your hot tub healthy from the healthy hot tub service and repair specialists. Clean the hot tub filters at least once a week. Shock treat your water at least once a week. Change your water at least every 3-4 months. Get a regular full service. 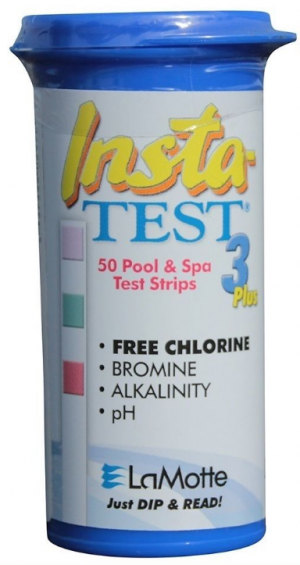 Use hot tub test strips or equivalent to ensure your sanitiser, Alkalinity and PH are at the correct level, and always check before entering the hot tub. 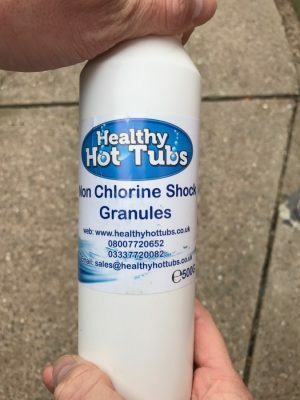 If you would like more information on testing your hot tub water, or would like to purchase some test strips call 0333 7720082 or alternatively use our contact form. 2. Clean the hot tub filters at least once a week. 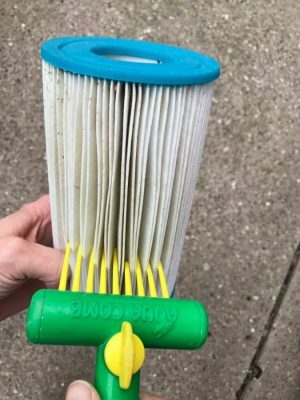 Make it a weekly habit to clean your filters. Firstly over 90% of flow issues are caused by poor, cheap or incorrectly maintained filters. Take your filter out, look for damage, and remove any large debris. Spray with some instant filter cleaner and either rinse with a hose pipe or use a aqua comb for filters. It is good practice to remove the filters when changing your water and place them to soak in some cartridge filter cleaner. Rinse them thoroughly and allow to completely dry before for using again. A good tip would be to acquire a separate set of filters so the hot tub is not stood while waiting for the filters to dry. If you would like more information on filters, or would like to purchase a filter or aqua comb call 0333 7720082 or alternatively use our contact form. 3. Shock treat your water at least once a week. If you use chlorine you need to shock your tub once a week with either non-chlorine shock or chlorine shock. Shock oxidises or burns off all used (dead) chlorine, dirt and urine etc. If you use bromine use non-chlorine shock, this will kick start redundant bromine so it starts working again as well as getting rid of dirt, sweat etc. If you require any more information on shock, or would like to purchase some shock call 0333 7720082 or alternatively use our contact form. 4. Change your water at least every 3-4 months. It is good practice to change the water every 3-4 months. Even if the water looks to be in good quality. Water loses its freshness and can begin to smell and look dull etc. Drain the spa. While the hot tub is drained it would be a good time to clean and check over the shell. Then refill the tub re-balance the water add sanitiser and you are good to go again. Obviously if you are having issues with the water then you can change and refill at any time. 5. Get your hot tub serviced regular. You wouldn’t run a car without a regular service and expect it to keep working flawlessly. And the same applies to a hot tub. 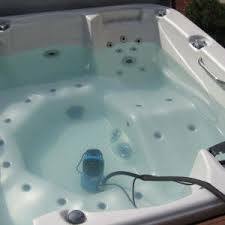 Healthy hot tubs service specialists recommend a full service at least once a year. 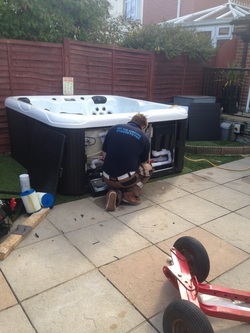 A good service will keep your hot tub in good condition and can highlight any potential issues as well as keeping the hot tub like new. A good idea is to get a service contract spreading the cost of the service over the year and often including discounts. For information on service contracts visit our service contracts page, call 0333 7720082 or alternatively use our contact form. For more information on the 5 Essentials to keep your hot tub healthy or Hot Tub Repair and Service work call 0333 7720082 or alternatively use our contact form. Would you like an absolute peace of mind? Ask about our maintenance & service contracts. One monthly payment - no hassle.